SHOEPASSION.com launched at the end of 2009 as a purely online retailer. In the intervening years, the company has continually expanded its offline presence. As of April 2017, its growing family of stores includes a brick-and-mortar retail location in the heart of Mannheim. Visitors to this store, which enjoys a premium location at the city centre, directly between the Paradeplatz and the water tower and close by to the ‘Planken’ high street, will be warmly greeted and thoroughly advised by our professional sales staff. 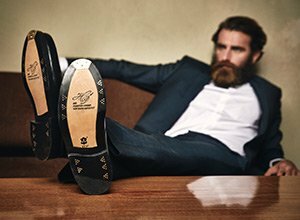 This space, which measures approximately 84 square metres, provides shoe lovers with the opportunity to get to know our comprehensive repertoire of stitched men’s and women’s shoes, classic accessories and premium shoe care products up close and personal.